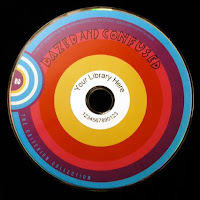 For several years, Midwest Tape has offered customized hub labels (sometimes referred to as ‘donuts’) for CDs, DVDs, and audiobooks. In years past, Midwest Tape’s hub labels were made out of adhesive paper. More recently, however, Midwest Tape has replaced paper labels with more durable vinyl labels. These vinyl labels are virtually impossible to rip and are made to better withstand casual wear and tear. Gone are the days of handwriting information around disc hubs. With Midwest Tape’s customized hub labels, libraries can have names, initials, branches, and barcodes printed on each disc. For a minimal fee, these printed labels will give your products an attractive, professional appearance, thus enhancing your library’s brand. For help choosing hub label options or for any questions regarding Midwest Tape processing services, please contact your Midwest Tape processing representative at 800.875.2785. 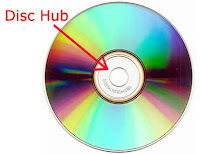 Does your library use hub labels? How has it aided your workflows? Share your experiences and feedback here as comments.